Interior Stylist, Artist & Home Consultant Creative Interior Styling for your own home with attention to Decorative Detail & the Art of Display. For those considering revamping underused rooms and breathing new life into their living space, I will help inject your personality into making your house a home. My forte is coming up with ideas for interiors that don't necessarily cost the earth but look stylish and individual. My unique approach is to help you help yourself. My advice and experience is there to be leaned upon and in the long run save you money by helping you make good decisions. 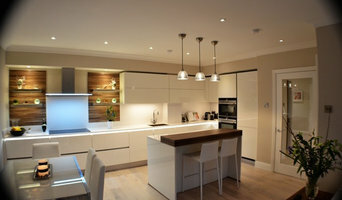 Bespoke Furniture & Kitchens for Your contemporary Interior LOMI Design Ltd. is an Irish design company established in 1998 to supply the highest quality contemporary kitchens, wardrobes, modern living and bedroom furniture as well as modern and innovative lighting from Europe's best contemporary designers and top manufacturers. LOMI are professionally qualified furniture designers & interior architects. We specialise in customised, bespoke contemporary furniture and interior design solutions for a diverse range of domestic & commercial projects. Browse for furniture inspiration on the LOMI website or make an appointment to visit our Dublin furniture showroom where you can see a great selection of contemporary furniture and discuss your requirements with one of our designers. We offer great value, excellent service, on-time delivery & superb installation with delivery throughout Ireland. 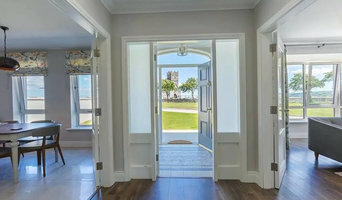 LOMI Design is located in Baldoyle, North Dublin close to the coastal suburbs of Portmarnock, Malahide & Howth. From our 320 sq. m. (3,400 sq. ft.) showroom & design studio we present an impressive range of modern furniture options. LOMI Design is proud to be an exclusive dealers for a number of great furniture brand names in Ireland; including Cesar, Jesse, Santos, Bonaldo, Kristalia, Porada, Contardi Lighting, Pentalight, Punt, JoV, GAN & more. We highly recommend a visit to the showroom to see our furniture display and talk to one of our interior designers. If it can be imagined, Interior space Design can make it happen! Interior Space Design treats each project as entirely individual. No matter your scale or budget, we will deliver your vision, producing elegant and creative solutions for the way you want to live. We particularly love designing bathrooms, yet our portfolio ranges from single rooms to entire new builds and basement/loft conversions. Services offered include; interior architecture, interior design, project co-ordination, space planning, lighting design, bespoke furniture, and styling for show homes and property sales. For us, lighting is key, we believe that getting the lighting correct can take any space to the next level. Our projects benefit from an holistic view of the spaces in which we work, delivering fine interior detailing while respecting the architectural context and maximising its potential. 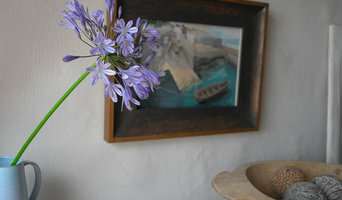 There is nothing more satisfying for us than creating a space which can be called your home. Founded by Rosemarie Carroll, RCD Design specialises in residential design, from space planning to single room designs, to full home transformations. For each new project, Rosemarie takes a truly personalised approach and works with her clients to create inspiring spaces they’ll love. She prides herself on empowering individuals to realise their home's full potential, within their budget and timescale. Rosemarie firmly believes design can make a real difference to people’s lives and how they feel about the space they live in. Her life-long love of design means she is always on the lookout for beautiful things and inspiring spaces to inform and be incorporated into her future projects. Graduating with an Advanced Diploma in Visual Communications she began her career with graphic design, Illustration and visual merchandising/ retail display. While with Arnotts Department store in Dublin, she designed and coordinated the refurbishment of their Grafton Street Cafe and also their Henry Street Cafe, adding extra capacity and a new style. She worked freelance and later returned to college and graduated with a Rhodec Advanced Diploma in Interior Design ( with distinction) and then again a Higher National Diploma in Interior Design ( with Distinction). Over time, Rosemarie has gained extensive industry experience, allowing her to hone her design skills, developing her style, her understanding of space, function, materials and her eye for colour and detail. No detail is unimportant to her, be it sourcing the best tradesperson or finding the perfect fabric match, RCD Design strive to achieve style and design tailored to each individual client's requirements, from beginning to end. Let's start making the most of your home! Unique Residential & commercial design solutions in various styles. Kitt Interiors, Dublin, Ireland provides a full range of Interior Design services both for the residential and commercial markets. The company specializes in elegant spaces that will transcend fads and fashions. We create atmosphere and ambience together with form and function, that goes beyond making a mere style statement. Owner and Designer, Serena Kitt originally qualified in Graphic Design and moved on to Interior Design in the nineties joining the Interior Decorators and Designers Association in London and is now a member of The Interiors Association, Ireland.